So recently I got to experience an incredible thing. 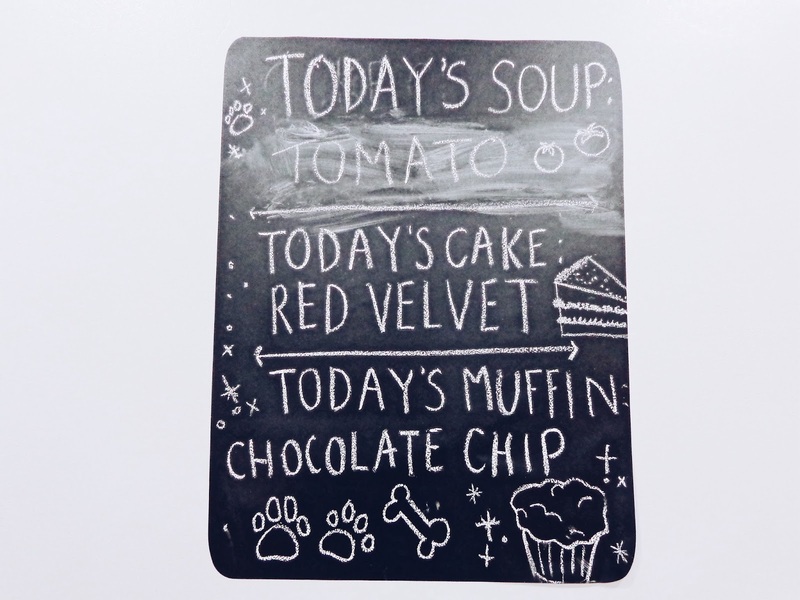 You may think that you have been to some good cafés before, but let me tell you, you haven't seen anything until you go to a dog café! 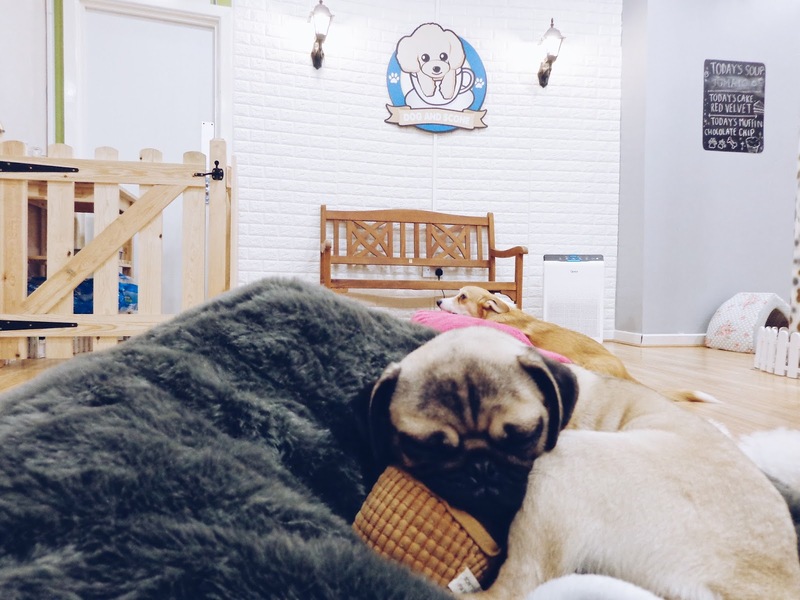 Nestled in the heart of Newcastle, Dog and Scone is a uber cute dog café with some of smallest the cutest dogs I have ever seen! 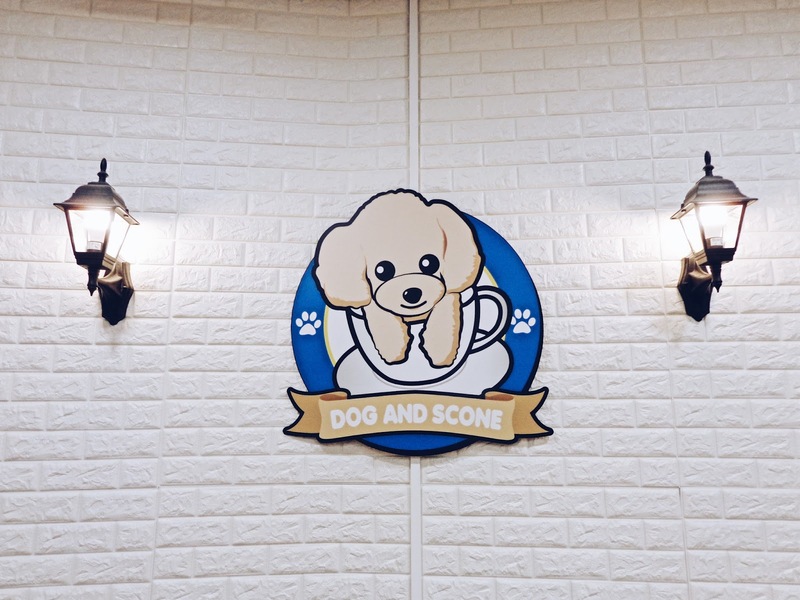 We paid a visit to Dog and Scone mid-September for my lovely Mum's birthday and we were immediately greeted by happy little faces and endless puppy love, what more could you want? Dog and Scone had a total of six dogs when we visited (now seven as a new puppy has been added to the pack!). 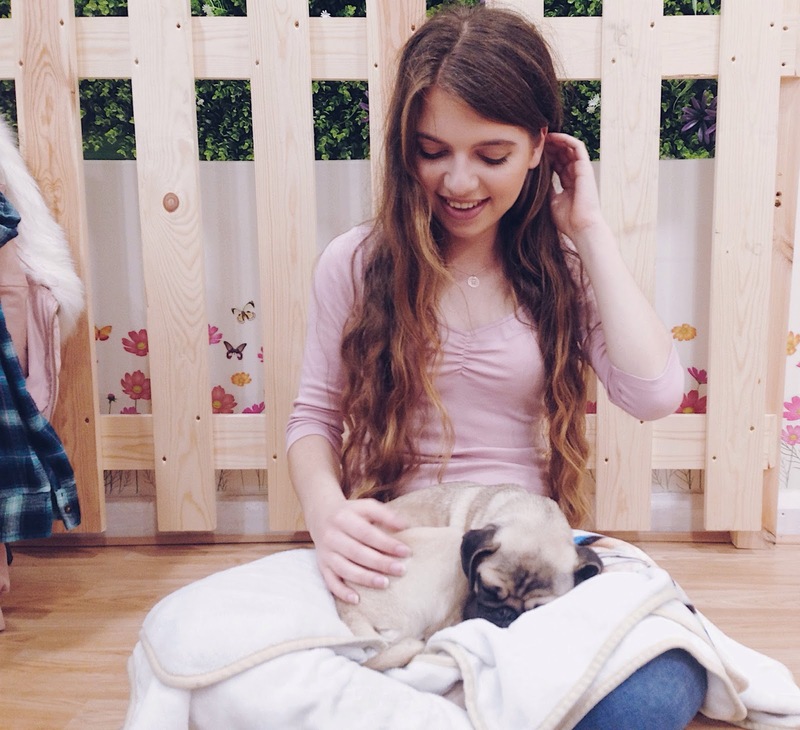 Yuki, their Toy Yorkshire Terrier was so tiny for a fully grown dog! 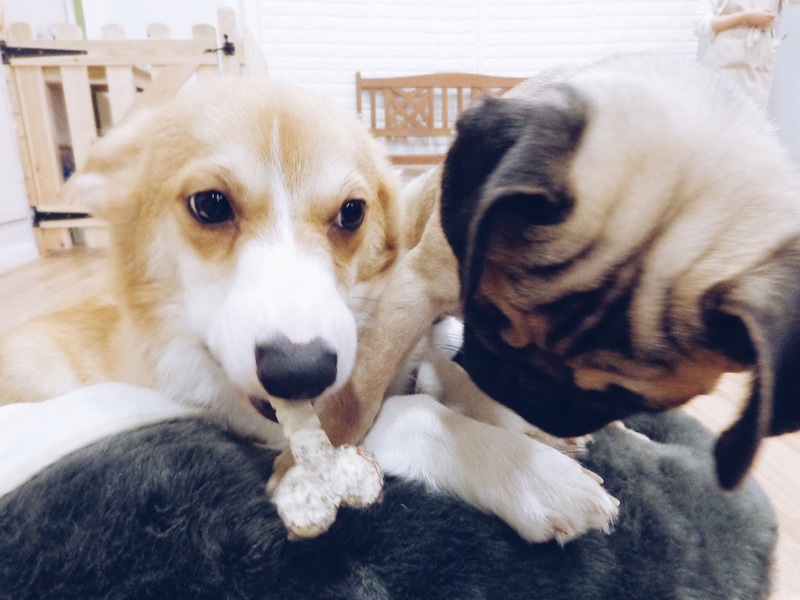 The Corgi (called Coffee) was also really sweet. I liked that they had put a ball pool in the room for them as it was so funny watching them all jump around in it and then fly across the room chasing the same ball. 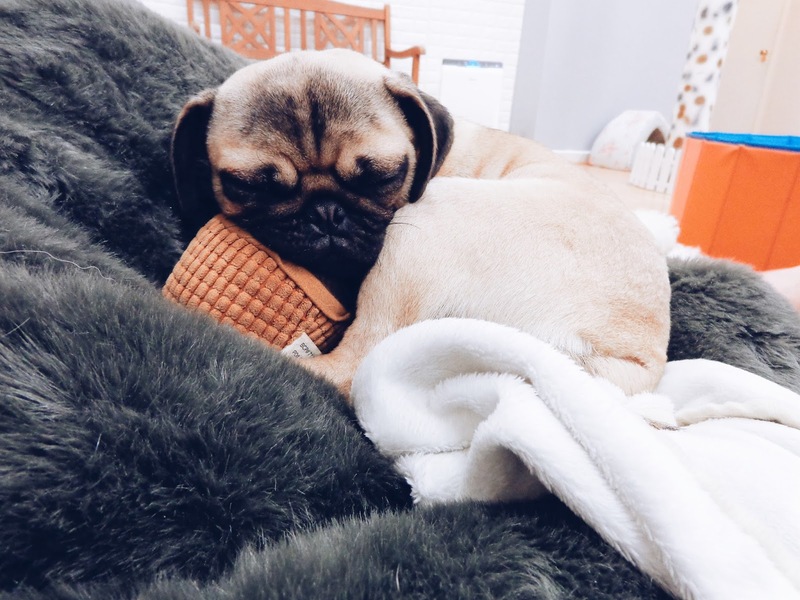 I am partial to pugs as I think they're just so squishy looking and Laughing (so named because she looks like she's always smiling), Dog and Scone's pug in residence, was so cute. At only about 9 months old, she was every bit playful and curious, but also rather sleepy, even though it was only mid-morning. All the excitement was too much for her I think! 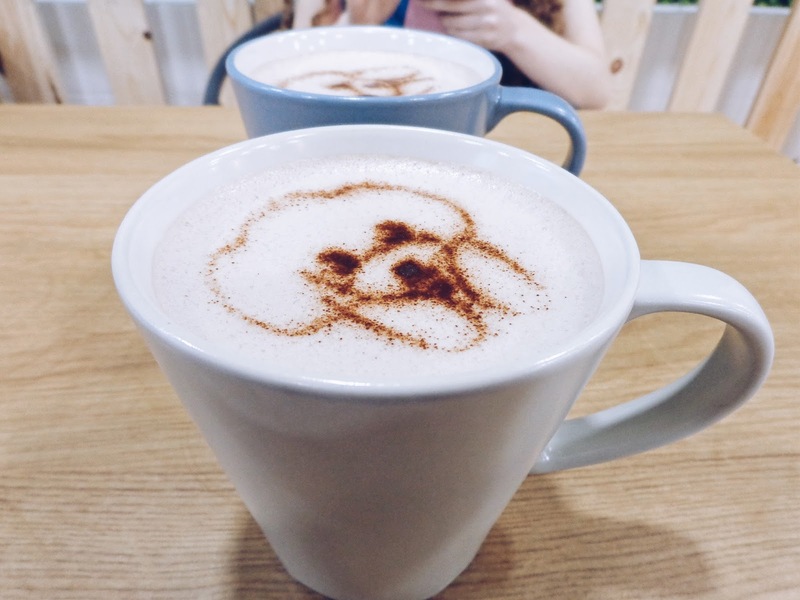 We ordered some of their famed hot chocolate, not only because hot chocolate is one of the best drinks out there, but because they stencil on a picture of their bichon frise Lucky!